TreeAge Pro empowers even casual users to build and analyze sophisticated analytical models in an accelerated timeframe. If you are an experienced analyst, you will be comfortable using TreeAge Pro following a quick review of its software commands. If you have no experience or only limited knowledge of decision analysis principles, TreeAge Pro will speed your learning process. 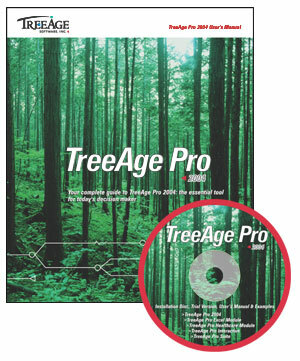 TreeAge Pro is a sophisticated yet highly user-friendly software package that facilitates decision making in the face of complexity and uncertainty. TreeAge Pro provides a systematic methodology and framework for understanding a problem, identifying available options, evaluating options in the context of associated uncertainties, and developing strategies which maximize the likelihood of success while minimizing unacceptable levels of risk. Create decision trees, influence diagrams, Markov models (available in the TreeAge Pro Healthcare module) and multi-attribute models with sophisticated model building tools.